Please join us for an evening you will not forget! This evening will bring you the most incredible validation from the spirit world and your loved ones. You are in for a real treat! 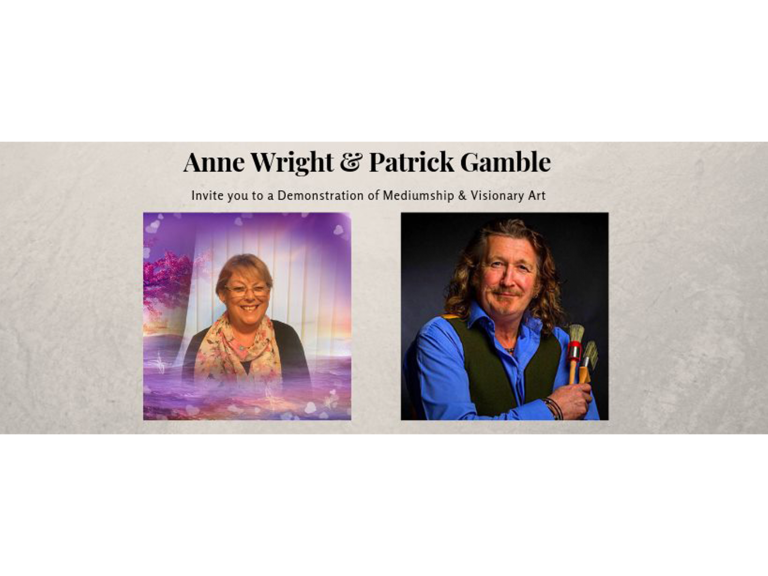 The fabulously Gifted Anne Wright and the amazingly gifted visionary artist Patrick Gamble will be coming together to enlighten you. Anne will be relaying accurate and profound messages and confirmation from your loved ones. Patrick Gamble will demonstrate his incredible talent by painting your loved ones/spirit guide. Tickets for this event are - Tickets in advance £10 On the door £12. Doors open at 7pm. 7.30pm start. An evening not to be missed!